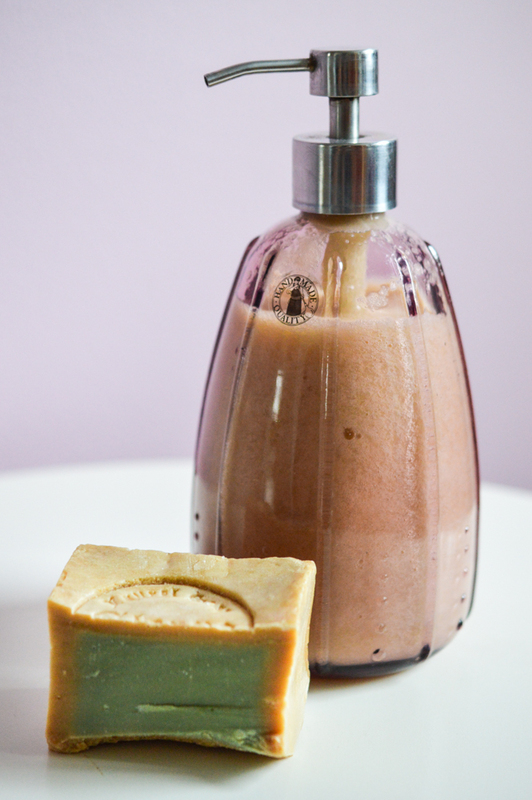 In one of my previous blog posts I shared how easy it is to make liquid hand soap out of a cold processed natural soap bar. Today’s recipe is just as easy and even takes less time. You can buy special shaving soaps (or make your own cold processed one) but if you have lots of soap bars like I do and can’t use them up as fast as you’d like, this might be the perfect solution. Also a good way to pimp up a soap bar that you maybe didn’t like that much before. There is no need for alcohol or aggressive surfactants or paraffinic oils. If you take a look at the back of many commercial shaving creams you’ll see that they often include things you really don’t want on your skin. Natural cold processed soap bars are made from oils and are saponificated with NaOH and often are highly superfatted to prevent dry skin. For this shaving soap I used a bar that I didn’t like that much on its own and added some coconut oil and pure aloe vera gel (for extra moisture) to the process. I you don’t have aloe vera gel or don’t want to use it you can just add an equal amount of water to the mixture. 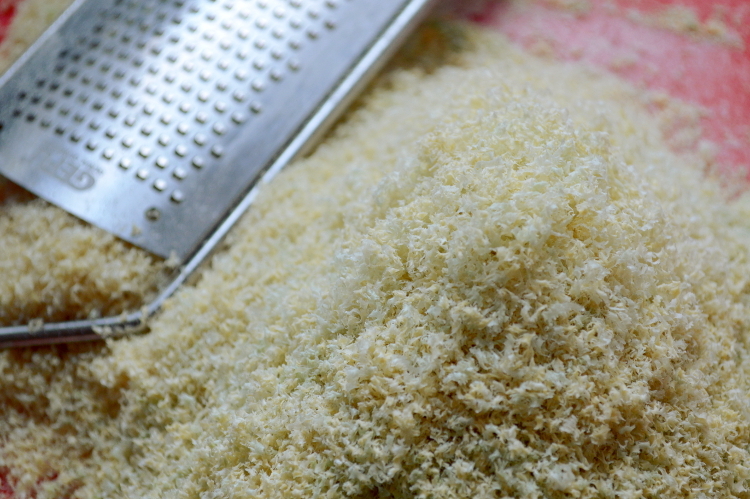 Grind the soap bar or chuck it in a food processor. The soap should be really fine, otherwise it won’t melt easily. 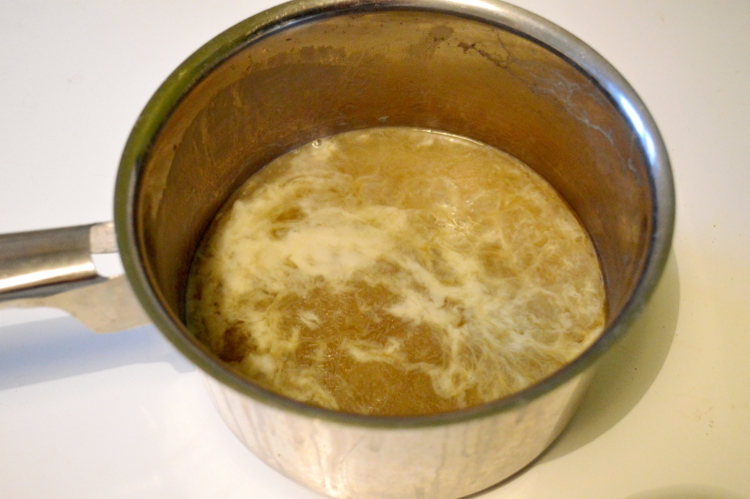 Heat the water with the soap and oil in a medium sized saucepan on low heat until the soap has completely melted. You really need to stir a lot because of the small amount of water. Mine turned into a thick paste really quickly and the soap was dissolved almost immediately. Be careful not to let it burn! It might form little lumps at the bottom which may seem like unmelted soap. If you touch them, you’ll see that those lumps are actually more like a paste and it means the soap flakes have dissolved already. Stir in the aloe vera and keep it a little bit longer on the stove until everything is incorporated properly. Take it off the heat and set aside to let it cool down. Unlike the liquid hand soap I have made, the shaving cream doesn’t need to gel up for a few days. I gave it a stir every few hours and it had set completely after a day. If you don’t stir it so frequently it might take a little bit longer. 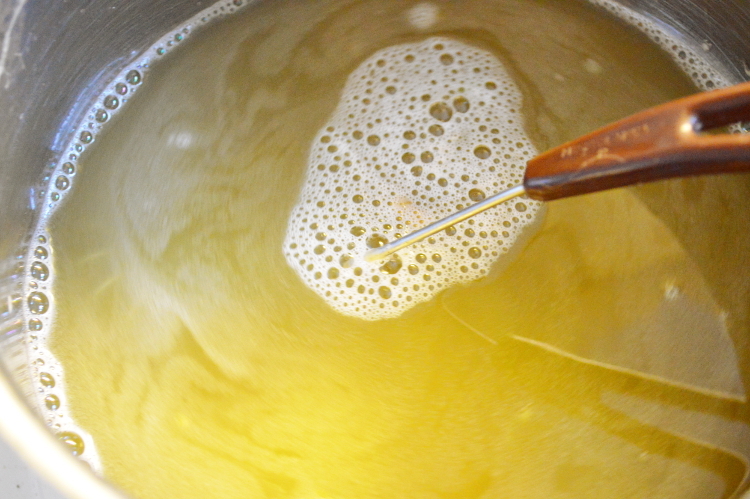 When the soap has set, whip it up by hand or with a mixer and add some essential oil if your soap wasn’t scented. It will be really smooth, creamy and easy to apply. Best is to keep it in a small tin in the bathroom. 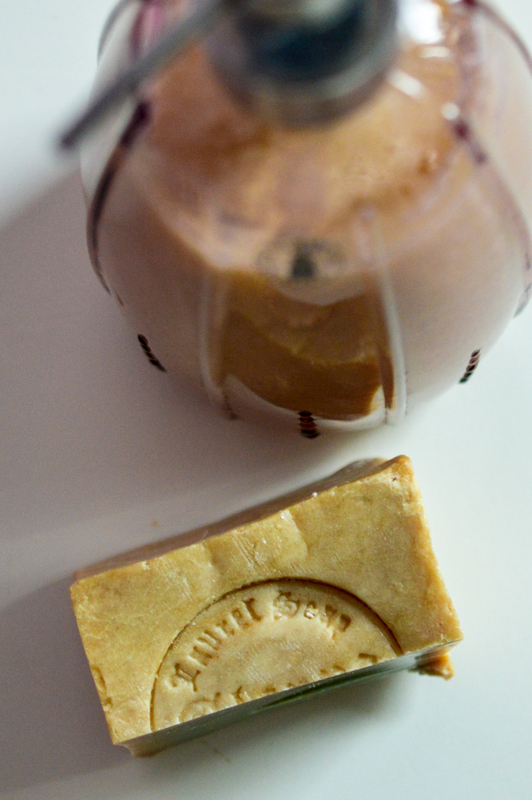 If you have read my last posts you know that I am into natural soaps and homemade cosmetics at the moment. I have to confess that I ordered another natural soap made with lots of sea salt and evening primrose oil against blemishes. Although its salt content is high, the bar is really soft and the smell is great. My face seems to like it a lot and I think it is due to the lack of olive oil. But back to the topic of this post. Now, the problem is, that I have acquired quite a few soap bars by now and they don’t get used up that quickly. 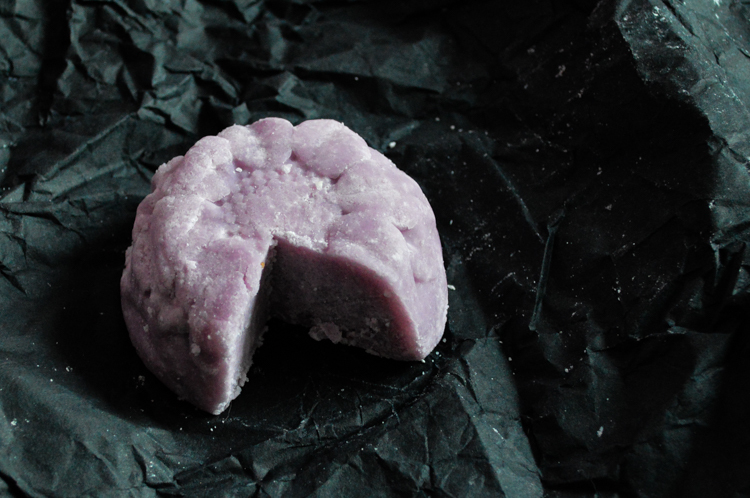 Also I should mention that there might be more natural soaps on my Christmas wish list but lets not talk about that. As our liquid hand soap reached its end, I wondered if it would be possible to make liquid hand soap out of one of the bars. I did some research on the Internet and found quite a few tutorials for liquid hand soap. Most of them either used normal soap (the kind I don’t want to use anymore) or some special liquid castile soap. So I thought I just give it a try with one of my natural soaps to see how it goes. The whole process took a few days (don’t worry, most of the time you don’t have to do anything) but in the end I had a nice creamy soap. It might be more expensive than buying a normal liquid one but there won’t be any alcohol or additives in it since the natural soaps are saponificated with oils and NaOH. For the recipe I used my big Aleppo bar with olive and laurel oil. Let’s get to work! You can easily double the amount if you want to. Grate the soap into small flakes and put it into a big pot with coconut oil and water. If you have soap rests you can also chop them up and put them in. Heat everything on the stove on medium heat and wait until all the soap had dissolved. This will take a while so you might want to grab a chair and read while stirring once in a while. You’ll need some patience but the soap will melt at some point. The small flakes might even melt instantly but bigger pieces will need a bit longer. I am not sure if it matters if the mixture boils or not but I kept it below boiling point just in case. Once everything has melted take the pot from the heat, put a lid on and wait. Wait a long time. You can check it after 24 hours but I had to leave mine for 3/4 days (I lost count) before the whole thing gelled up completely. Stir the mixture once every day. At the beginning it will look like soap water. When I checked it after a day I thought actually thought this was a fail but I left it in the pot just to be sure. After the first disappointing look, it started to look different every time I checked. The bottom looked a bit slimy while the top was still soap water. After a few days it looked like jelly and that’s when you can continue with the next step. Don’t worry, it will look more pleasant in the end. Pour the jelly in a mixing bowl or in a food processor and add some drops of your favourite essential oil if you like. Don’t use too much! It also depends if the bar you used was already scented or not. 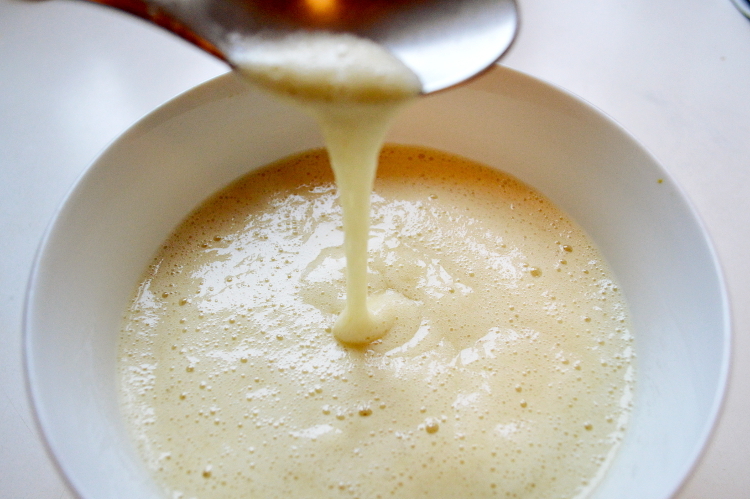 Mix it with a hand mixer or the food processor until everything is creamy. Liquid soap done! You can now pour it in your soap dispenser. I had too much for mine so I poured the rest in a glass bottle. After half a day mine started to separate into three layers in the dispenser and bottle. First I thought I had done a mistake with the recipe or it just didn’t work with natural soap after all. I poured the soap from the bottle back in the food processor (the bottom was really liquid and the top like jelly again), mixed it up once more and poured it back into the bottle. It didn’t separate again after that, so I decided to give the soap dispenser only a good shake to mix it up again and that seemed to do the trick already. No need for the food processor after all. So I don’t know if I hadn’t mixed it up properly the first time or why it had separated again but after that the soft creamy foam gelled up completely and has stayed like that since. So in case your soap might do the same (although I think it might have to do with the Aleppo bar I used), don’t give up and pour it away! You will just have to shake it up another time. The liquid soap that I made was supposed to be for washing hands but actually you can also use it as a shower gel or even shampoo, depending on what kind of soap you used for the recipe. 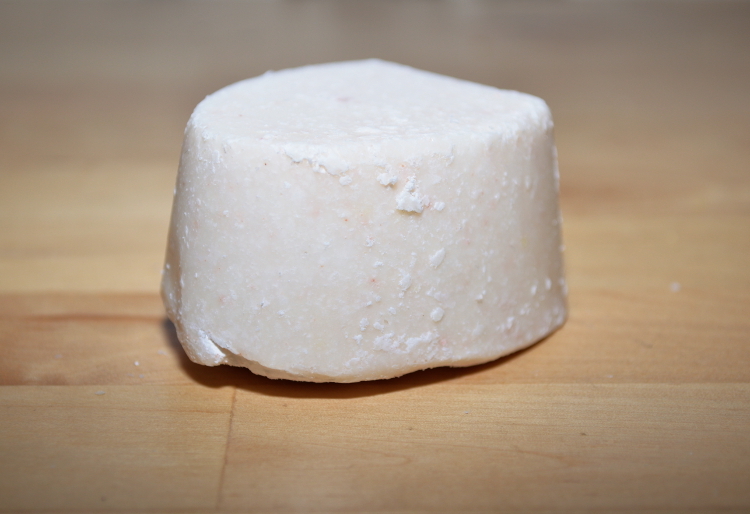 The Aleppo bar I had can be used on the body, face or as a shampoo bar, so there aren’t any limitations to the liquid one either. I think next time I will try to do a similar recipe with less water. I should get a thicker “whipped” soap that could be used as a shaving soap. Recently I have been starting to use only natural soaps for wasching my body, face and even hair. 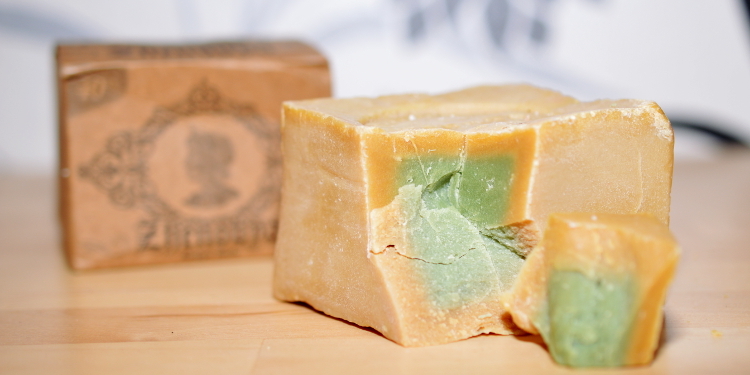 The difference to regular soap is that natural soaps are almost completely made out of oils. No harsh chemicals, preservatives or detergents. 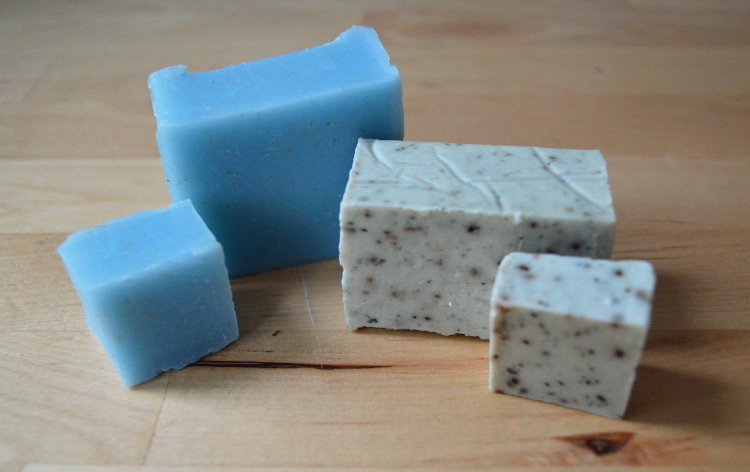 While normal soap often leaves your skin dry, natural soap can moisturize it. It comes it hundreds of different variations. With salt or clay, herbs or essential oils, the possibilities are endless and it depends on the skin type you have. I have mixed skin on my face. While my forehead is often shiny, my nose, chin and part of my cheeks suffer from big pores and blackheads while being dry at the same time! I have tried lots of products but nothing really made it better. When I heard that natural soaps might help with that I was willing to try immediately. “Superfatting is the process of adding extra fats (oils or butters) when formulating a soap recipe, so there is more fat in the mixture than the lye can react with during the chemical reaction. Rizordemol by Savion with coconut oil, olive oil, castor oil, shea butter, cocoa butter, tea tree oil, clove oil, argan oil, walnut oil. 80 g.
This Rizodermol soap is for dry skin as well as itchy skin and skin that suffers from eczema and acne and is superfatted at 10%. It has a really pleasant smell and feels great on the skin. I sometimes also use it for my face. Since the skin on my legs is really dry at the moment I oil it after the shower with coconut oil. The soap itself is quite soft so you can easily cut of a piece if you don’t want to use the whole bar at once. On the right: Clay and Marine Algea soap with shea-and coconut butter, coconut oil and rosemary. 60 g. On the left: Gardener’s soap with shea butter, coconut oil and lavender. 60 g.
Another body soap is the Gardener’s soap (left) by Flow Cosmetics, a Finnish brand. It is antiseptic and peels the skin. To me it smells a bit like fresh laundry. Unfortunately the soaps from Flow don’t indicate the superfat percentage. 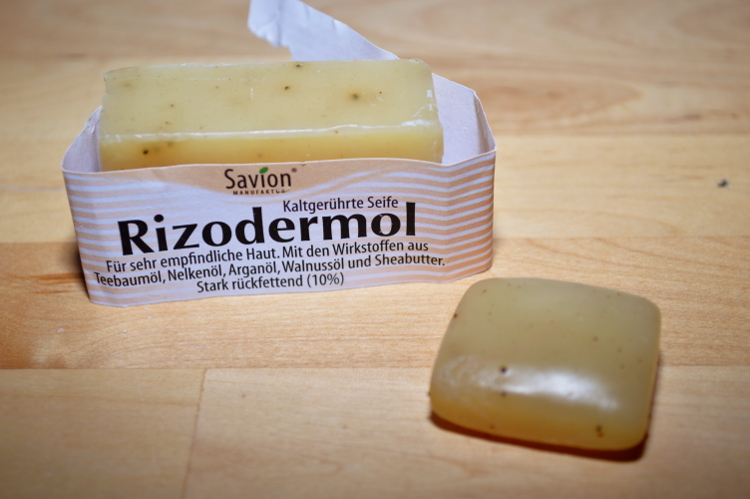 Just by trying, I would say it is less superfatted than the Rizodermol but that might be just the ingredients working differently on my skin.The bar is hard but you can still cut it well without crumbling. Another soap by Flow that I own is the face soap Clay and Marine Algea (right) for mixed and oily skin. The smell is difficult to describe but it’s pleasant. It takes my make up off (I use mineral make up) quite well but leaves the skin a bit dry afterwards. At the moment I am still experimenting if my skin is lacking fat or moisture. So for more moisture I put on aloe vera gel after washing and oil with coconut or sesame oil (cold pressed) afterwards. 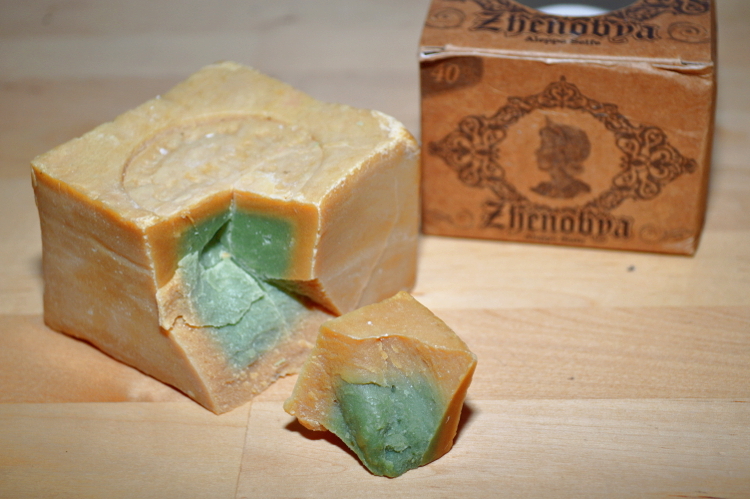 Aleppo soap with 60% olive- and 40% laurel oil. My main face soap for the evenings is an Aleppo soap with a high percentage in laurel oil against impure skin. It takes aways my make up easily and develops a nice foam. This soap is made after a traditional recipe from Syria and comes as a big bar of 200 g which was a bit difficult to cut. You can use it for your body, hair and face. I quite liked it as a hair soap. Only used it a few times since I am trying the Only Water method at the moment but my hair didn’t get greasy as fast as before. As a conditioner I used a vinegar rinse which left my hair soft and shiny. I bought it at Genuss im Bad which has lots of lovely soaps. For the shipping to Finland I paid only 4€ (up to 500 g)! You can contact them beforehand if you want to order to a different EU country but that should always be possible. They replied immediately and soaps were here quickly. Sea salt soap with 50% salt. Also with coconut-, olive- and rapeseed oil. 110 g.
In the mornings I either use ghassoul clay by Logona or a salt soap for my face. Salt is also great for blemishes and acne prone skin but with some people it tends to dry out a lot. My sea salt soap contains 50% salt and smells like lavender and rosemary. Because of the salt it is more difficult to cut and will easily crumble. Although the salt content is high, is still foamed up well in my hands. Summary: My face cleaning routine contains washing my face either with a natural soap or lava earth. In the evening I use mostly the Aleppo soap. In the morning either the salt soap or ghassoul clay as a mask or face wash. I always wet my face first and make the soap foamy in my hands since I don’t apply the bar directly to my face. While that is certainly possible with most soaps, it’s not recommended for salt ones. The ghassoul clay can be mixed with honey, tea tree oil or other oils and leaves the skin really soft but in my case a bit dry on certain areas. After washing my face in the morning I put on aloe vera gel and add a few drops of coconut or sesame oil which is really mild. In the evening I pat my face with rose water as a toner before the aloe and oil treatment. For my body I use mostly the Rizodermol soap and apply coconut oil afterwards. Under the shower I use the bars directly on my skin. Conclusion: I am still in the testing phase so before I will change anything I want to observe changes to my skin a bit more. I really like the feeling of the soaps on my skin and the thought of doing something good to it without using all those unnecessary chemicals in most skin product. The blemishes are a bit better at the moment but there is still lots to improve. Next I will test some soaps without olive oil because I’m not sure yet if that might be comedogenic for me. Yesterday I made some whipped shea butter for dry winter skin that also can be used for atopic rashes. Check the instagram box on the right for a preview! A tutorial on the blog will follow soon. I also plan on making my own soap these days. One body/face soap and one highly superfatted on (maybe 20%) for the body. As you can see I am quite hooked on natural soaps and want to test a few more. Which are you favourite ones?